The 2018-2019 MCSPhamily is excited to... We welcome you to our community, and invite you to support another strong year of service, diversity education, and social justice work. ... create memorable living-learning experiences The 2018-2019 Resident Advisors create inclusive and supportive living communities, serving as a resource for academic and personal wellness. ... provide strong mentorship support Our 2018-2019 Peer Mentors serve as a resource for first-year students to go to for support, and they engage students to participate actively in MCSP. ... plan meaningful service opportunities The 2017-2018 Peer Advisors for Community Service are busy planning opportunities for students to serve others in the community. ... facilitate diversity education The 2018-2019 Intergroup Relations Council leads events within the community to educate and support students from various social identity groups. ... craft amazing student programming MCSP's 2018-2019 Programming Board partners with our students to give them the chance to create social and service events for their learning community. ... guide the program to greater success The MCSP Staff is always available to help students with their academic, program, and personal needs--come by the office and say "Hello!" The arrival of spring almost marks the finale of another great year in MCSP. Check out some recent news stories from our community! 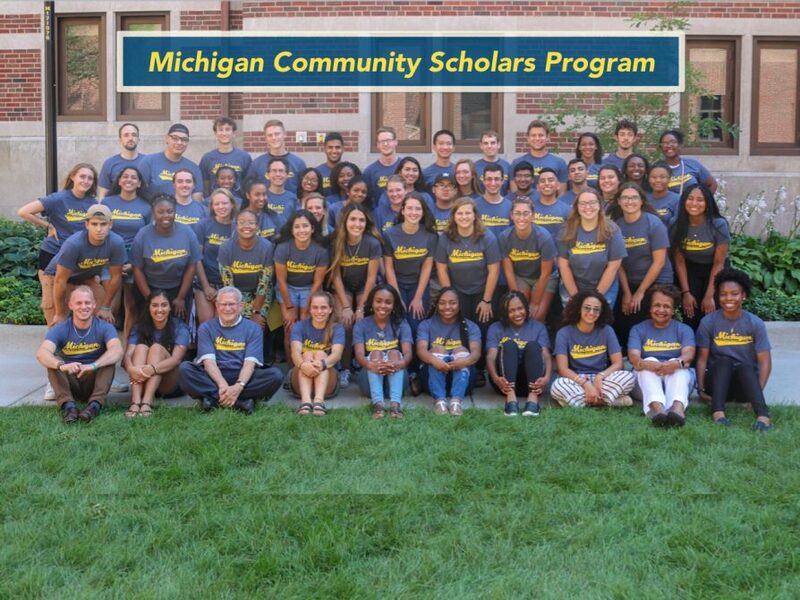 The Michigan Community Scholars Program (MCSP) brings together students and faculty who have a commitment to community service, diversity and academic excellence. Through small courses, faculty-student contact, service projects, leadership opportunities and social programs, students model an ideal community through intergroup engagement, responsibility, friendship, and collaboration. 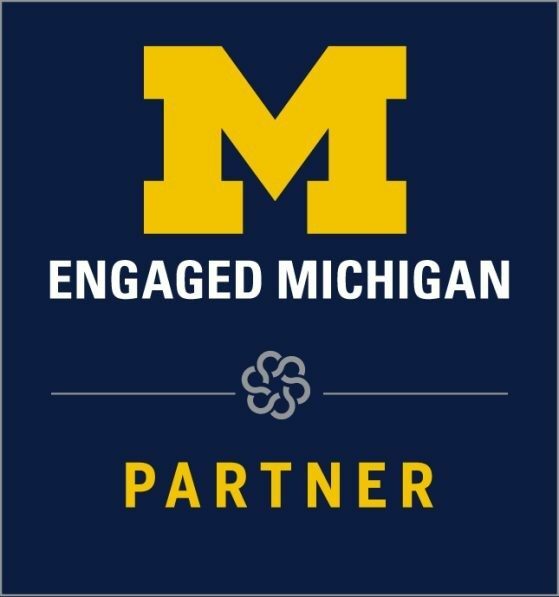 Apply via your U-M Housing application in April (instructions). Prospective students, learn more about MCSP here, and see program events and highlights in our News. Questions? Check out FAQs, or feel free to contact us! We strive to support our students and faculty on the frontlines of learning and research; to steward our planet, our community, our campus. To do this, MCSP needs you—because the world needs Victors.